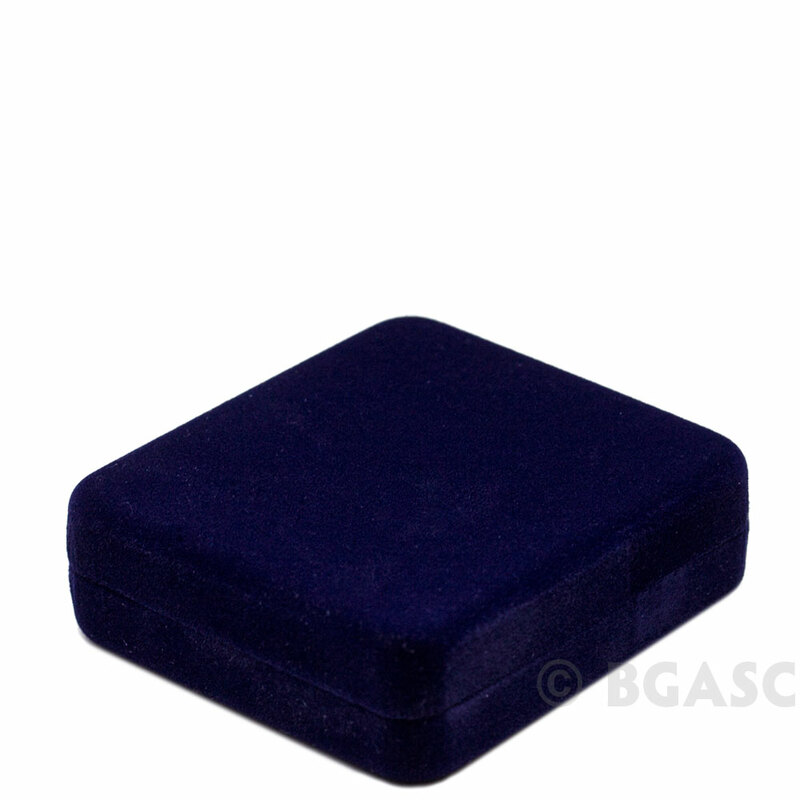 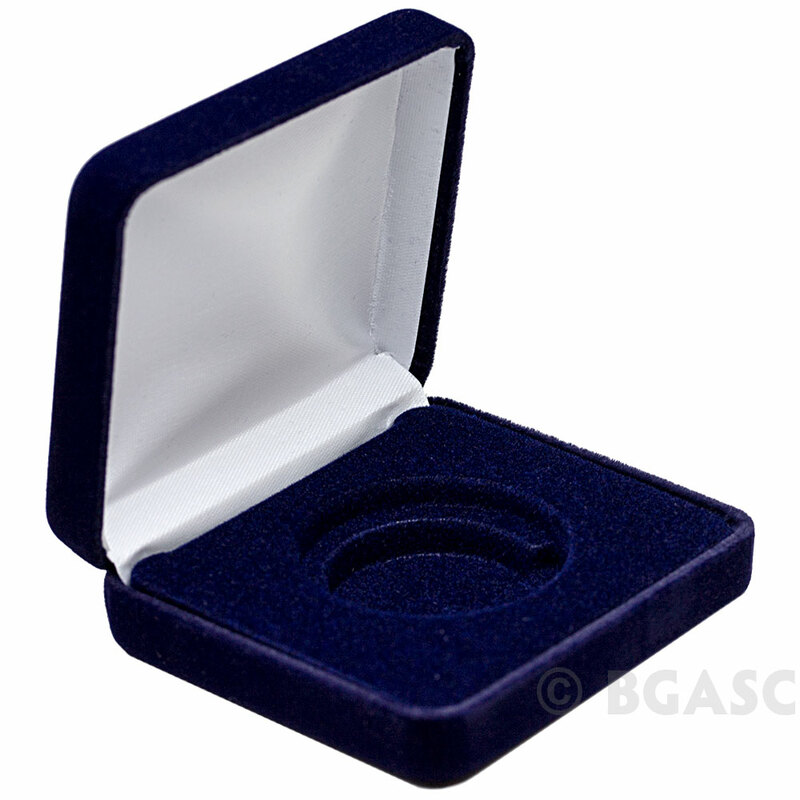 This Velvet Gift Box for Coins is the perfect way to present and store a 1 oz American Eagle, 1 oz Silver Round, 1 oz American Gold Eagle, 1 oz American Gold Buffalo, 1 oz Silver Canadian Maple Leaf, Morgan Dollar, Peace Dollar, Pre-1933 Double Eagle (St. Gaudens, Liberty, etc.) or other coins in an Air-Tite Coin Capsule. 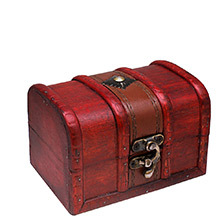 This gift box is ideal for gift giving, collecting or long term storage. 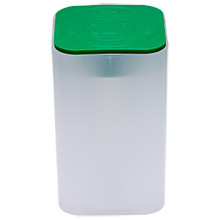 Fits any "H Series" Air-Tite coin capsule. 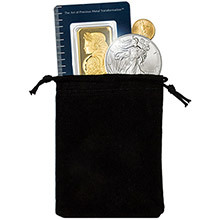 Select which Free Coin Capsule you'd like included with your velvet gift box (or no capsule) before adding to your shopping cart. 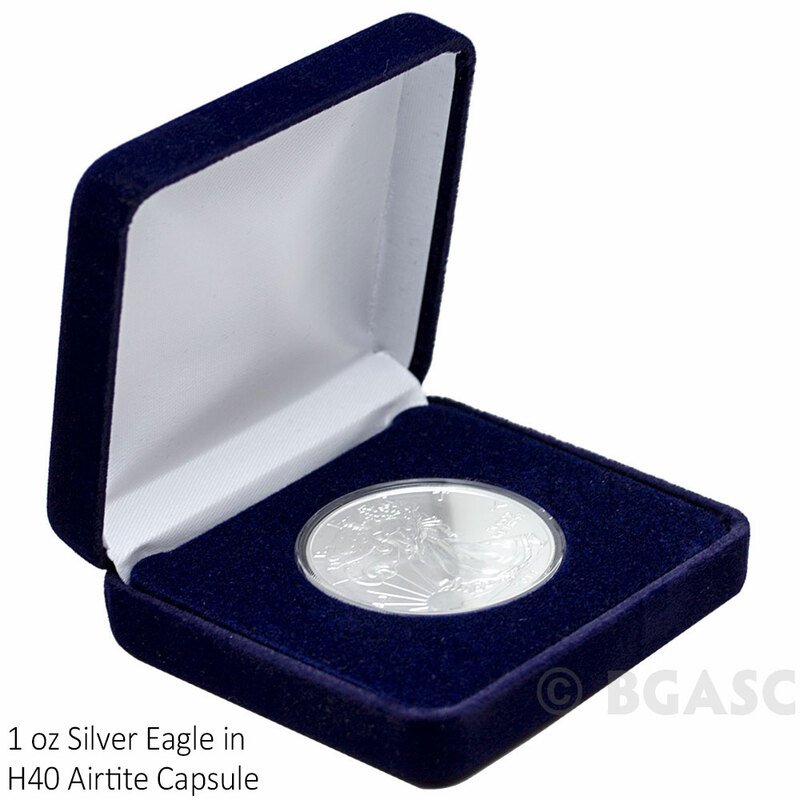 The Air-Tite H40 Coin Capsule fits: 1 oz American Silver Eagles (40.6mm), 1 oz Silver Rounds privately minted by Golden State Mint (39.3mm), Austrian 4 Ducat (40mm, expect some rattle), Barbados 5 Dollar (40mm), British 1 oz Silver Brittanias (38.61mm), British 1 oz Silver Royal Arms (38.61mm), 1 oz NTR Metals Bull/Bear Market Silver Rounds (40.6mm), Chinese 1 oz Panda-Sterling (40mm), Fiji Taku 1 oz Silver (40.5mm), Mexican 1 oz Silver Libertad 1996-date, 100 Peso, 5 Peso Silver, and 8 Spanish Reale aka Pieces of Eight (40mm). 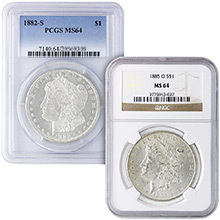 The Air-Tite H38 Coin Capsule fits: Morgan Dollar (38.1mm), Peace Dollar (38.1mm), Liberty Seated Dollar (38.1mm), Eisenhower (Ike) Dollar (38.1mm), Trade Dollar (38.1mm), Modern 1 oz. 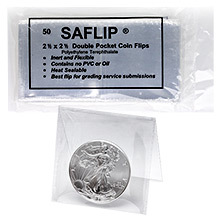 Silver U.S. Commemorative Coins (38.1mm), British Churchill Dollar, 1 oz Silver Canadian Maple Leaf (38mm), $5 Canadian Wildlife Series Silver Coins (38mm), $5 Canadian Birds of Prey Series Silver Coins (38mm). The Air-Tite H34 Coin Capsule fits: 1 oz Gold $20 Saint Gaudens and Liberty Double Eagles, 1 oz Palladium Canadian Maple Leafs, 1/2 oz Silver Maple Leafs and 1/2 oz $1 Silver Wolf coins (34mm). 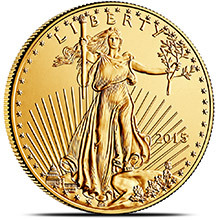 The Air-Tite H32 Coin Capsule fits: 1 oz American Gold Eagles (32.7mm), 1 oz South African Gold Krugerrands (32.6mm), 1/2 oz Silver Rounds (typically 32.6mm), 1 oz $100 American Platinum Eagle (32mm), U.S. Capped Bust Half Dollars (32.5mm), Australian 1 oz Gold Kangaroo (32.6mm), 1 oz Gold Nugget (32.6mm), 1 oz Lunar Gold Series 1 (32.6mm), 1 oz Platinum Platypus (32.6mm), British (and Irish) Silver Half Crown (32mm), 1 oz Gold Brittania (32.7mm), 1 oz Gold Sovereign (32.7mm), Chinese 1 oz Gold Panda (32.05mm), and Fiji Taku 1/2 oz Silver (32.5mm). No Capsule (Box Only): Select this option if you already have an "H Series" Air-Tite coin capsule and do not need or want an additional one shipped with your gift box.